Bottlefed as a lamb, Kat is always one of the first sheep to greet me when I come into the pasture. She’s very chatty. She doesn’t say baaa, she says maaa. Often and loudly. See how smooth she is? She’s a hair sheep. When the shearer comes in a week or two she’ll watch happily from the sidelines. Okay, so the question is…what do you do with a “hair sheep”. 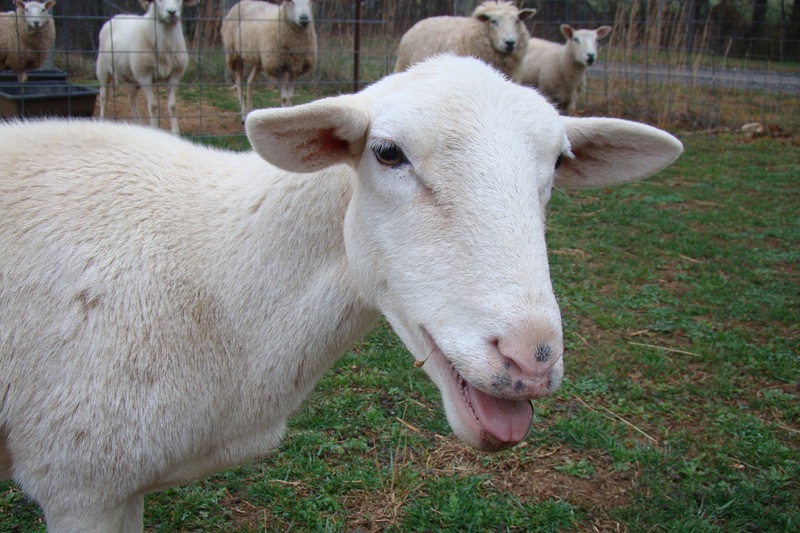 Umm… the lamb chops on restaurant menus come from somewhere… Kat is one of our breeding stock. This breed is much easier to raise than our wool breed. They are more resistant to internal parasites and are easy birthers. We had to assist with a few births this year, none from a hair sheep.